Howdy all. Apologies for my internet absence of late. I had a rough summer, and have been playing catch up a bit. I'll try and do better. Promise! 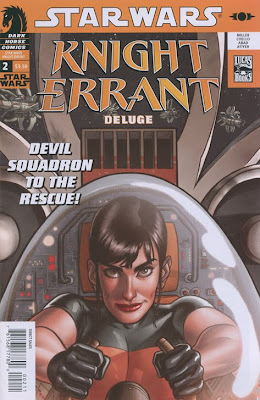 Cover 2 of Knight Errant: Deluge hits comic stands today. Please do scoop it up. I had decided early on that I wanted to do a Rockwellian piece, so I kept using the circle motif as I pitched sketches throughout the five issue run. Eventually this one got through. 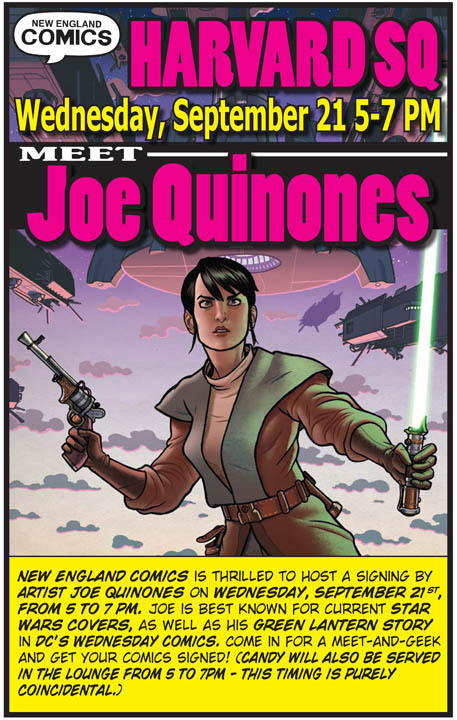 A signing at New England Comics! I'll be signing at their Harvard Square location from 5-7 this evening. 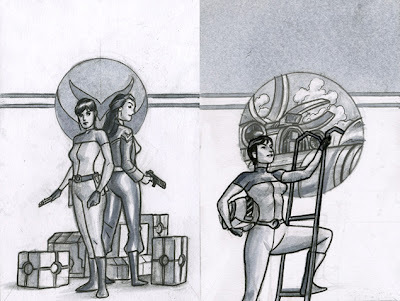 There I'll have original art on display and will be selling prints and sketchbooks. Please do stop on by. I literally went to New England comics today to get my weekly haul and saw the table all set up. It was physically painful to pull myself out to go to class. I go to AIB and I know you did a seminar there a year ago but any chance you might come back?